The sign doesn't have a housing as it is a single 1/16" thick sheet of aluminum with industrial-grade pigment baked on. The framing consists of a dual channel extruded aluminum system capable of supporting two signs (double face) within one frame. 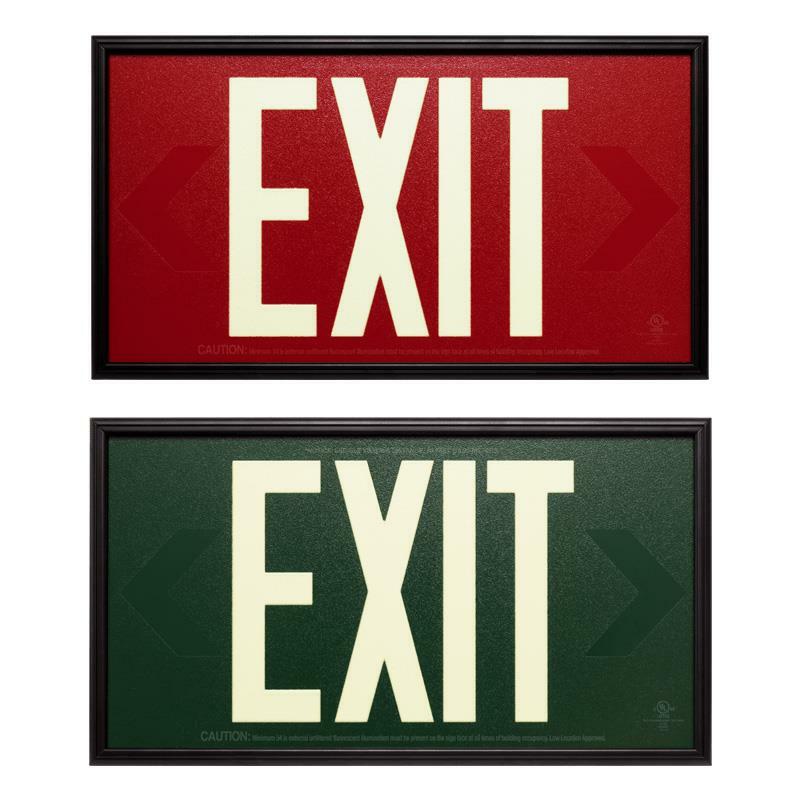 The aluminum sign comes with an aluminum frame which allows it to be back, side, or top mounted. The bracket will be required for double sided or top or side mounted installations. The sign does not require electricity to illuminate. The sign has no moving parts. The only requirement is to keep the face plate clean so as to not restrict the absorption of light. The sign glows green the dark and will illuminate for 90 minutes or more. There are no lenses or bulbs. Premium-Grade aluminum sheets form the substrate and extruded aluminum forms the frame and mounting bracket. The sign and frame are impact-resistant. Indoors where 5fc of illumination are constantly present on the face of the sign during building occupancy and the illumination source is not controlled via a publicly accessible switch.